The best small business loans for every business need. Looking for the best alternative small business loans of 2018? When we talk about ‘The Best Business Loans for Small Businesses’, loans guaranteed by the Small Business Administration (SBA), also known as SBA loans are undoubtedly the right financing choice. But if you find no luck getting such government loans, grants or other small business loans from credit unions and micro lending institutions due to strict loan requirements, complex funds transfer, tall list of terms, etc., then that is not the end of your small business. Today, there are many private loan companies online that provide the best instant support for small businesses and entrepreneurs. Therefore, government small business loans are no longer the only good option to get business finance. With technology changing everything, business lending has become even simpler and fast. Many business lenders are offering small business loans online with a streamlined application and funding process to reduce the efforts of time-crunched borrowers in getting the best business financing, right when they need it the most. Hence, small business loans from online lending companies have emerged as the best alternative to commercial bank loans for small merchants. Best small business loans from Business Advance Lenders. Small business loans can be vital to the growth of business. A timely loan can help you grab the best business opportunities in the moment. So, if you are in need of fast small business financing, then Business Advance Lenders, the reliable online loan place, can help you borrow funds easily up to $500,000. Get the funds you need today with a small business loan. We offer wide range of best small business loans to cater to the unique financial needs of your company. Besides, we guarantee best terms and competitive loan rates via convenient online platform to small business owners from every industry. This moment could be the best time to apply for a small business loan in 2018 because Business Advance Lenders offer online financing with no collateral or personal guarantee, no faxing, no extensive business plans and no hard credit check. Our small business loans are designed with the best interest of merchants in mind. Business owners with bad personal credit are also welcome to apply for financing with us. Suits every business financing need - Regardless of your reasons to obtain a small business loan online, we allow you to get funds easily to grow your business. Whether you need business funding to buy equipment, meet regular operational needs, cover working capital needs, put in more sales, purchase real estate, expand operations, pay for employees, hire additional staff or just to ensure positive cash flow, small business loans are the best way to cater to individual needs of any business. Fastness, fairness and flexibility - Unlike week long traditional bank loan process, our small business loans online involve a simple process allowing you to get financing same day or by next business day. Our business loan application can be accessed at any best time of yours through any device from anywhere- home, office or on the go. Additionally, we promote transparent lending on flexible terms and our small business loan rates are free from the risk of hidden costs. Collateral-free cash for small business - Banks and majority of alternative lenders will not approve your small business loan request without collateral. Fortunately, with Business Advance Lenders, you can secure the business financing online without pledging your assets. Therefore, our unsecured business loans are best fit for small businesses with no collateral to put. No hard credit checks - Knowing how to get a small business loan online with no credit check can be a great relief for bad credit borrowers. Alternative lenders like us offer business loans based on the age and performance of borrower’s small business rather than his / her personal credit history. Hence, our bad credit small business loans are best option for business persons seeking guaranteed financing with no credit checks run. Find the small business loan that is best for you. Working capital loans Everyday operating expenses, short term business investments, etc. Do not limit your small business funding options to, government grants for businesses, sba loans, business credit cards, etc. Explore our best online business loans, compare the option that suits your requirements and apply for funds. Business Advance Lenders thus provides multiple small business loan solutions that are designed considering your diverse business needs. Besides, to ensure every business owner in need of affordable small business financing, benefits through us, we cover different industries ranging from restaurants to beauty salons. Realize your small business ideas turning into profits quickly. Small business loans online from Business Advance Lenders not only allow you to access fast funding up to $5000,000 in as soon as one day for any legitimate business purpose but also assure guaranteed high approval rate. Now is the good time to get started. Take your first best step to sustain or grow your existing business further by applying for a best small business loan online right now. 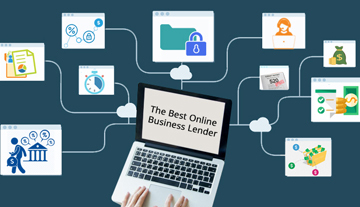 HOW TO FIND THE BEST ONLINE BUSINESS LENDERS EASILY? Unable to secure small business loans from banks? Do not lose hope! There are other great alternative business lenders online that can offer the best financing for your small business on easy terms and requirements. Small business needs are not only plenty but unexpected too. With so many business funding options flooding the online lending market, it is often confusing to choose the right lender that offers loans for small business.